North Dakota – Governor Jack Dalrymple announced at a Thursday morning press conference he was ordering National Guard units to bolster security forces around the massive Dakota Access Pipeline protest site south of Bismarck. At this stage state authorities claimed that activated military personnel would relieve law enforcement officers. 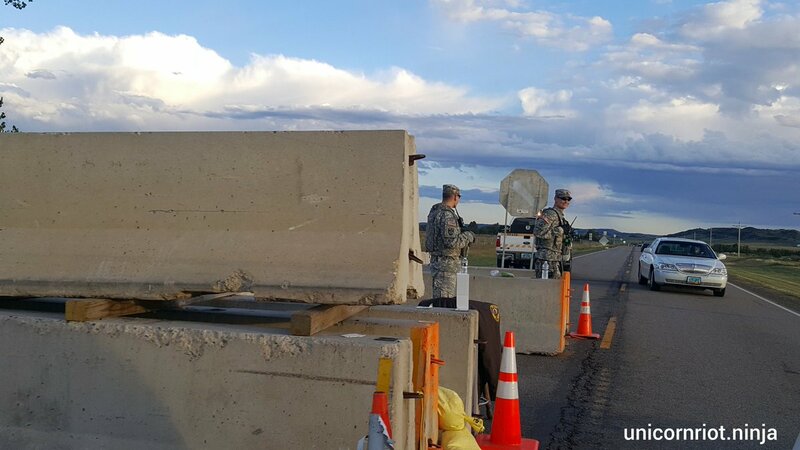 At Thursday’s press conference, leaders assured the press that these concrete barriers will remain on Highway 1806 near the Missouri River, and the National Guard personnel will be armed. At first, Major General Al Dohrmann, the adjutant general, or commander, of North Dakota’s National Guard, described existing roadblocks as “checkpoints” then caught himself and described them as “information points” which will supposedly permit free passage in the area along ND Highway 1806. He also reluctantly confirmed that the military personnel at these points would be armed. In a quick press response, the Red Warrior Camp posted a video you can view here. Unicorn Riot has compiled a multi-state rundown of Dakota Access Pipeline (DAPL) activity, an important endangered species oversight on the original construction permit materials, and market analysis of the troubled Bakken oil industry along with more information on how DAPL is financed. While many think that construction on DAPL has halted because of the ongoing encampment in Standing Rock, it continues in other locations along the route (Iowa, Illinois, North and South Dakota). 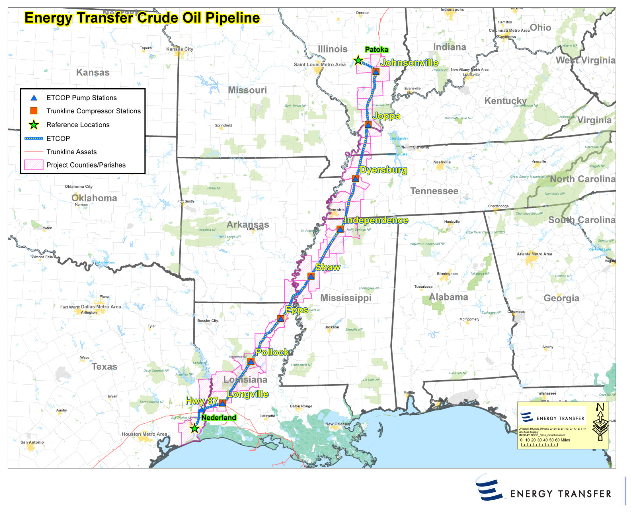 Energy Transfer Partners LP has completed a huge percentage of the pipeline, with its expected November start date approaching. The encampments protecting the Missouri River on the Standing Rock Sioux Reservation have grown into the thousands. For the latest episode in this conflict see our September 6th report, Indigenous Water Protectors Swarm Dakota Access Pipeline Site, Stop Work. 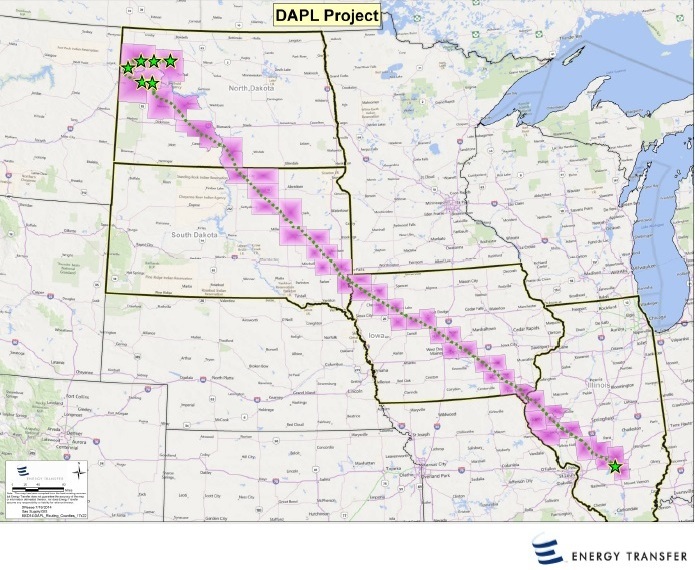 In August, the U.S. Army Corps of Engineers confirmed that the Dakota Access Pipeline developer Energy Transfer Partners LP has yet to provide a written easement for the pipeline to be built. 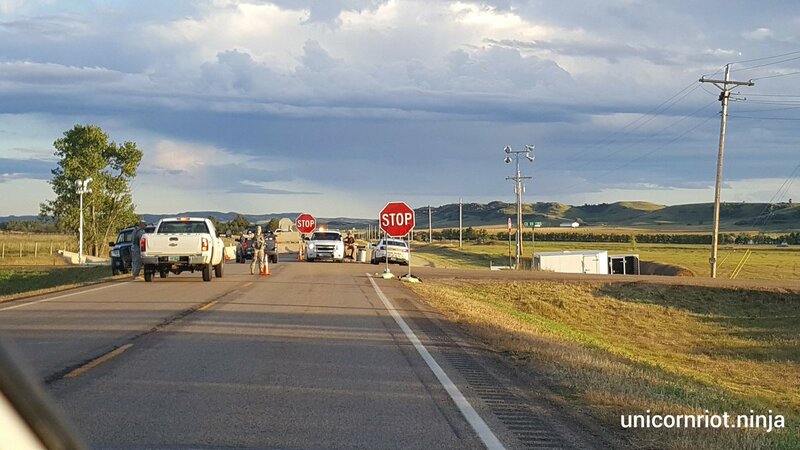 On August 29th, Amnesty International sent a letter to the Governor of North Dakota, as well as the top ranking sheriff and state patrolman urging them to “remove the roadblock” that is erected on Highway 6. The existence of an officially listed endangered species, a small butterfly called the Poweshiek Skipperling (Oarisma poweshiek), with federally designated Critical Habitat areas in North Dakota’s McKenzie County, has been flagged by activists as possibly relevant to challenging the pipeline permit. (More species info). Nine other endangered species present in McKenzie County are referenced in the US Army Corps of Engineers documents, but not the Poweshiek Skipperling. According to the US Fish and Wildlife Service, two ‘units’ of Critical Habitat lie near the Missouri River in McKenzie County. 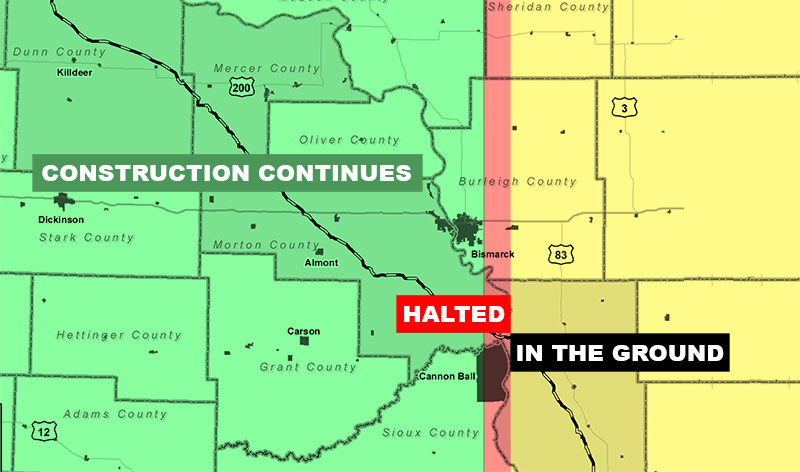 Along the entire pipeline route, residents fear erosion and runoff problems (including many Iowa farmers), but there is no mitigation mentioned in official documents for the butterfly’s sensitive, federally protected areas in McKenzie County. Besides bulldozing areas near protected species’ enclaves, private capital has brought with it private agents of violence to impose its will. Controversial private security forces involved with violently forcing aside pipeline opponents include 10 Code LLC, based in nearby Bismarck, ND. The shocking attack dogs unleashed on Indigenous water protectors including a child and pregnant woman on Sept. 3rd were provided by Frost Kennels of Ohio. Iowa Governor Terry Branstad stated that he would “not be upset if farmland he owned was turned over for eminent domain to build the Bakken oil pipeline”. Also in Iowa, local landowners’ attorneys have lost a case that challenged the use of eminent domain on 15 parcels of their land, to benefit private business interests. Lawyers for the landowners also say that the construction of the pipelines will lead to “irreparable damage to the farmland where the pipeline would cross, including the destruction of drainage tiles“. Compounding immediate damage to Iowa agriculture, according to the Des Moines Register, “Dakota Access pipeline wrecking soil, farmers complain.” Many farmers are incensed that pipeline construction teams have failed to maintain their soil layers, which will harm crop yields, and they do not trust inspection teams that are sponsored by Houston-based Dakota Access LLC. More groups have organized against the pipeline recently including Bakken Pipeline Resistance Coalition (fb / tw) along with the more established Des Moines group Iowa Citizens for Community Improvement have organized protests and court support for people fighting the pipeline in legal channels. Strengthening of America’s “energy independence” is one selling point of the Dakota Access Pipeline, or Bakken Oil Pipeline, that will snake thru the Dakotas, Iowa, and Illinois, bringing Bakken crude oil to a facility in Patoka, Illinois to be transferred down to Texas. To frame DAPL’s economic context, it is important to note that the money for setting up the project, including its credit line for upfront expenses, comes from groups like investment banks (for example, Goldman Sachs is a lead DAPL investor). 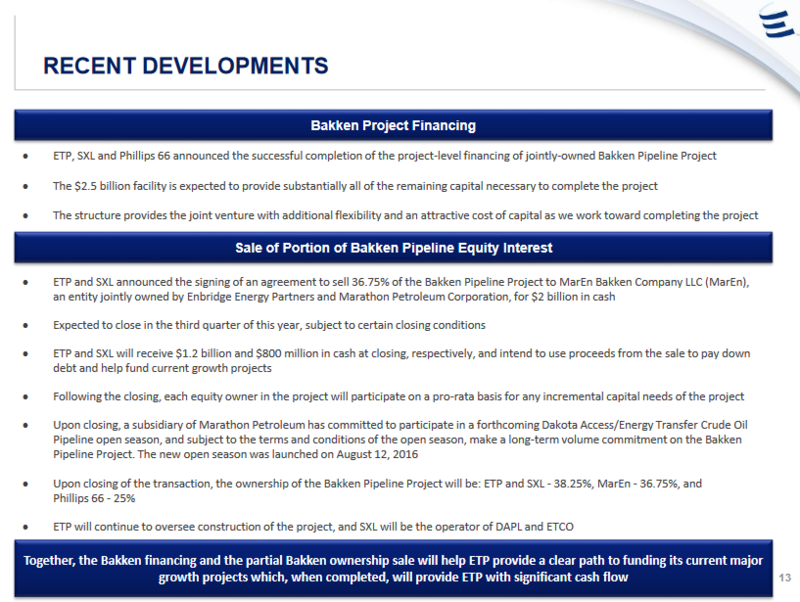 Frequently, these investment banks entice other large institutional investors like mutual funds and pension funds to park their money in the project, and later the “operator” entity which runs the pipeline. This forms a complex network which may be vulnerable to political pressure for divestment. Even the most cynical investor would have to concede that oil projects are a questionable risk in an era of $45/barrel prices. Analyst Art Berman observed in Nov. 2015 that $45 NYMEX oil prices actually represent a Bakken region price of just $30/barrel, which is a very unprofitable price point for most producers in the Bakken region. Operators remain committed to running the minimum number of rigs while oil prices remain below $60/barrel WTI. The number of well completions was almost unchanged from 45(final) in May to 44(preliminary) in June. Oil price weakness is the primary reason for the slow-down and is now anticipated to last into at least the third quarter of this year and perhaps into the second quarter of 2017. With no end in sight for low prices inside US markets, regional investors are desperate to unload this oil overseas. Every company in the “oil patch” has debts they need to roll over with oil sale cash at unsustainably low prices. Hence, they share a desperate need to get DAPL online to “drain” the glut they have needlessly created, exporting first to Illinois, then Texas and overseas. The oil debt bubble is not limited to the United States. The Canadian banks which put around $100 billion into failing conventional and tar sands projects have faced dire headlines all year, due to their risky bets on the failed oil boom. It was reported late in August that Marathon and Enbridge are picking up 36.75% of the project’s ownership: “When complete, Energy Transfer and Sunoco will own 38.25% of the DAPL and Phillips 66 will continue to own 25%.” Roughly a quarter of Phillips 66 is owned by Warren Buffett’s Omaha-based company Berkshire Hathaway. Researchers with Food & Water Watch developed this research into the network of business and investment entities driving the Dakota Access Pipeline across the prairie. Click “next” to see each layer of business activity. As we described in our September 6th report, online investment data shows the precise shareholdings and bond holdings in Energy Transfer Partners LP as of the end of June 2016, and Stockzoa provides similar data. The Commonwealth of Pennsylvania has nearly 5 million shares worth $192 million invested in ETP, mainly via Pennsylvania Public Schools Retirement System. Guided by advisors at massive banks, government-backed public sector pension funds form an important pillar of fossil fuel project finance in the US, including the Dakota Access Pipeline. Sunoco Logistics Partners, also based in Pennsylvania, is another major investor. Research on this network has alerted many activists that there many political pressure points at which they could force divestment from this project. If you have more information about the Dakota Access Pipeline or similar projects please contact [email protected]. For a recap from the month of August’s action, see below.